Dimensions 6 5/8" x 10"
Dimensions (Folded) 5" x 6 5/8"
CLASSIC CREST is a premium paper that is popular in both commercial and social applications. Classic Crest paper's smooth surface enhances print quality and has helped it to become the most desired paper in the marketplace. 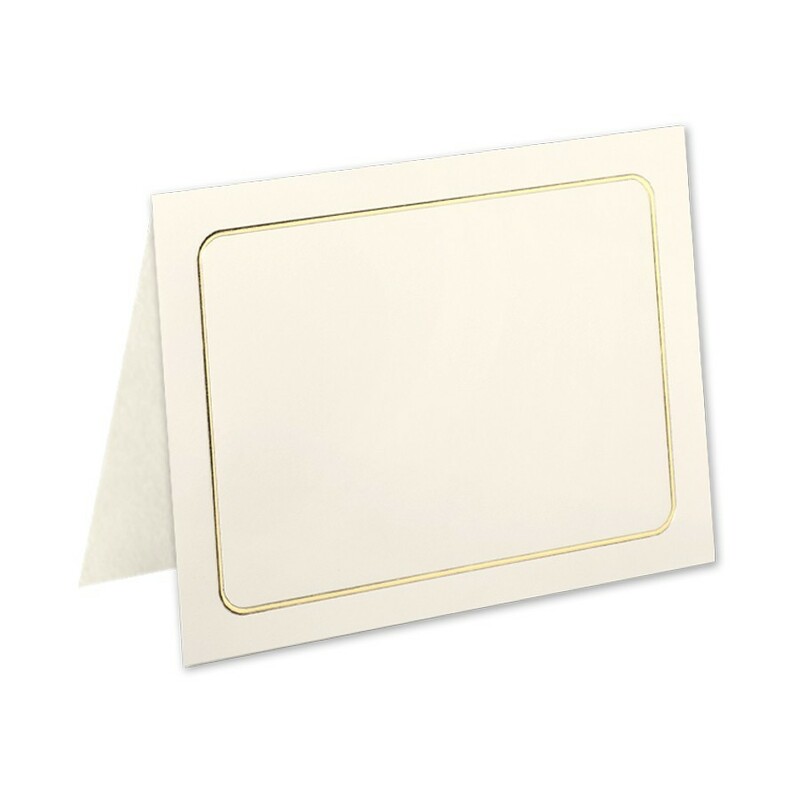 The A7 80# Cover Classic Crest Classic Natural White Savannah border with gold foil can be used in a multitude of applications. Classic Crest is manufactured by Neenah Paper in the USA. Classic Crest Classic Natural White is also Acid Free, Lignin Free, PH Neutral, ECF/PCF, Archival Properties. Classic Crest 80# Cover Classic Natural White A7 Savannah Border gold foil folders bulk pack of 250 is a stocked product by Announcement Converters ready to ship the same day.